After a successful inaugural program in 2014, the National Book Awards at Sam Houston will return to Sam Houston State University March 22-24, providing members of the Bearkat and Huntsville communities the opportunity to interact with two awards finalists and the winner in fiction. The three-day program will open with a community reception and book signing at the Wynne Home Arts Center on Sunday, from 4:30-6 p.m., followed by the main event on Monday, from 6:30-8 p.m. in the Gaertner Performing Arts Center, Payne Concert Hall. Monday’s activity will offer readings by Klay, Moten and Whaley, as well as on-stage interviews moderated by Jeff Shotts, executive editor of Graywolf Press. On Tuesday, the visiting authors will conduct master lessons for university students in the SHSU Master of Fine Arts program in creative writing, editing and publishing program. Whaley also will visit with sophomore English students at Huntsville High School. The National Book Awards at Sam Houston was created through a partnership between SHSU and the National Book Foundation to bring National Book Award winners and finalists to campus and to the community for a series of events celebrating literature and literacy. The National Book Awards are among the most prestigious literary awards in the nation, and SHSU is one of only two universities nationwide to host a National Book Awards on Campus program. Klay is a U.S. Marine Corps veteran who served in Iraq’s Anbar Province as a public relations office. 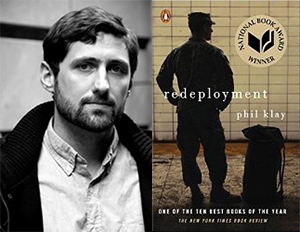 His book “Redeployment” offers a view of the frontlines of the wars in Iraq and Afghanistan, asking us to understand what happened there, and what happened to the soldiers who returned. One of the stories in the collection follows a soldier—who has had to shoot dogs because they were eating human corpses—who must learn what it is like to return to domestic life in suburbia, surrounded by people "who have no idea where Fallujah is, where three members of your platoon died," according to the Amazon book description. It interweaves themes of brutality and faith, guilt and fear, helplessness and survival, the characters in these stories struggle to make meaning out of chaos. Moten is a professor of English at the University of California—Riverside and is co-founder and co-publisher of the small literary press Three Count Pour. 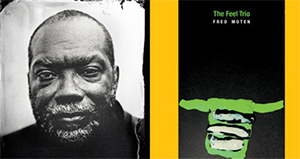 “The Feel Trio” is a collection of poetry that examines African American issues while interjecting musical and lyrical elements. Other Moten works include “Arkansas” (Pressed Wafer), “In the Break: The Aesthetics of the Black Radical Tradition” (University of Minnesota Press), “I ran from it but was still in it.” (Cusp Books), “Hughson’s Tavern” (Leon Works), and “B Jenkins” (Duke University Press). A Louisiana native, Whaley earned his bachelor’s and master’s degrees from Louisiana Tech University. He taught public school for five years before becoming a full-time writer. He currently lives in Los Angeles. 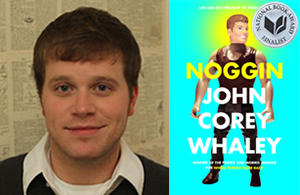 “Noggin” is the “touching, hilarious” coming-of-age tale of Travis Coates, whose head was chopped off, put into a freezer, and, then, five years later, is reattached to someone else’s body. Now in its 10th year, the National Book Awards on Campus brings award finalists to college campuses for readings in large, public venues, master classes with aspiring student-writers, and intimate receptions with faculty and the community. For more information, contact Amanda Nowlin-O’Banion, visiting assistant professor of English, at 936.294.4109; Scott Kaukonen, director of the MFA program in creative writing, editing, and publishing, at 936.294.1407; or visit shsu.edu/nationalbookawards; or follow the NBA at SHSU event on Twitter at @SHSUbookawards.